Our union’s policies on housing look very different from any of the big parties. There is work to be done. There are many important policies for us including opposing pay restraint, building coordinated industrial action and fighting cuts. There is also policy on housing. Our members know the impact of austerity on housing as jobs are cut and pay and conditions attacked as well as seeing the impact on tenants and service users. We also have to pay our own rent or mortgage of course! The election campaign is building and people in Unite have been discussing what we are doing to get our voice heard on housing questions. Unite’s housing policy places more emphasis on social housing and supports rent control for example, and it opposes austerity. The previous conference committed the union to support bank nationalisation so they can be run to support socially necessary projects like house building instead of being run as publicly supported casinos. 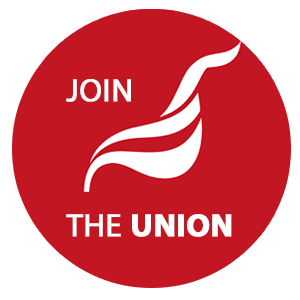 Unite believes that the private sector cannot build affordable homes for working people in the number required. We need public sector investment in new council house building on a massive scale as well as upgrading the existing council housing stock. An end to unfair housing benefit caps and other draconian benefits cuts such as the Bedroom Tax. Council housing to be accessible to working people and not just the unemployed. At one time the 'housing association movement' might have been expected to highlight housing need and campaign for more resources. Not now, we have reported that some big associations are seriously lobbying for full privatisation: http://www.housingworkers.org.uk/readnews.html?con_id=147 It is housing workers through Unite who will be making the case for social housing. Our sector of the union is discussing how to make sure we pressurise politicians and get our voice heard in the election. We need our own manifesto. Look out for more material from the branch and come along to branch meetings to get stuck in to this campaign.